Why settle for a Non-Medical/staffing franchise with a restricted revenue stream? Why settle for a weak franchise territory? Since 2001 providing unlimited profit potential in all aspects of the continuously growing home health care industry. What do you need? Just the drive to succeed! Accessible Home Health Care is a multi-dimensional, full service "personal health care" provider. What Makes Accessible Your Best Choice? 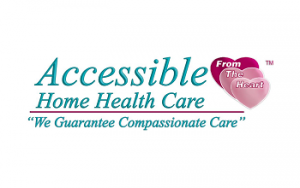 Medical & Non-Medical Home Health Care: Accessible provides both. It’s a clear advantage over non-medical home care companies. Services are provided to all age groups from newborns to seniors. State Licensing & Accreditation: Accessible provides full support for franchisees to obtain licenses and accreditation. Insurance Company Credentialing: Accessible is an approved provider with all major long-term health insurance companies' networks. Business Development: Accessible has complete sales, marketing, and advertising programs to help you grow your franchise. Training & Ongoing Support: Accessible provides initial training and then supports you each step of the way. Reasonable Initial Investment: The initial investment is reasonable and features protected territories. And Much More! Including corporate insurance, specialized service programs, accounting services, proprietary operating programs, and full operating manuals. Join our franchise team to start reaping the benefits of an unlimited revenue stream. Franchises currently not being offered in California, Indiana, Maryland, Minnesota, New York, North Dakota, Rhode Island, Virginia, Washington, Illinois or Hawaii.